The START International TDA080-LAM Electric Heavy-Duty Tape Dispenser WITH LAMINATOR automatically laminates 2 tapes together, then dispenses & cuts the tape. Originally introduced by START International, the TDA080-LAM is an ideal industrial strength dispenser for high-volume production lines and operations requiring repetitive taping. 4 Modes of Operation: Manual Feed & Cut, Manual Feed/Auto Cut, Auto Feed & Cut, and Interval Feed & Cut. Quickly and easily program a desired length digitally and the TDA080-LAM will precisely dispense and cut with accuracy of +/- 1mm. The Optional foot switch (TDA080PFS) is available. Tape dispensers hold and cut tape. They are used in manufacturing, assembly, and packaging. Tape guns are portable, handheld tape dispensers that are useful for small jobs. Tabletop dispensers allow an operator to tear off the tape and then bring it to the point of application. 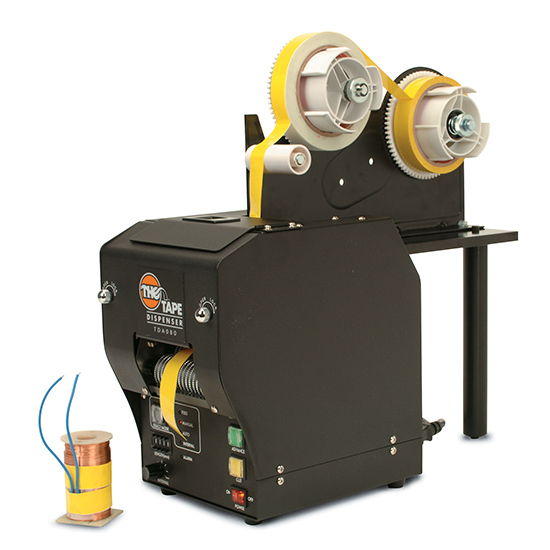 Manual tabletop dispensers allow an operator to pull and tear any amount of tape, or to dispense a fixed amount of tape by use of a hand lever. Electric dispensers may be actuated by the push of a button or by a sensor that detects when the previously cut length of tape has been removed. 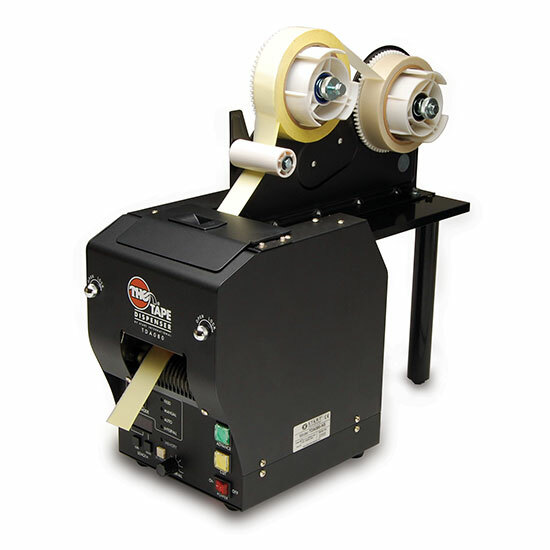 Most tape dispensers work with pressure-sensitive tapes, such as transparent office tape, packing tape, or strapping tape. Gummed tape dispensers, also known as water-activated tape dispensers, work with water-activated adhesive tape. These dispensers moisten each piece of tape as it is dispensed.